This Valentine’s Day around $2 billion will be spent on flowers. A lot of that ordering will be online. Poor online experiences mean shoppers will abandon an order and go somewhere else, or not return when they need to purchase flowers again. Having a strong user experience will ensure customers can find the right arrangement, for the right price, and have the flowers delivered fresh and on time. To understand the quality of the online experience, we collected UX benchmark metrics on four popular flower websites in both 2017 and 2018. We conducted two benchmark studies: a retrospective and task-based. In the retrospective study, we had 200 participants who recently visited or purchased from one of the flower websites reflect on their most recent experiences. 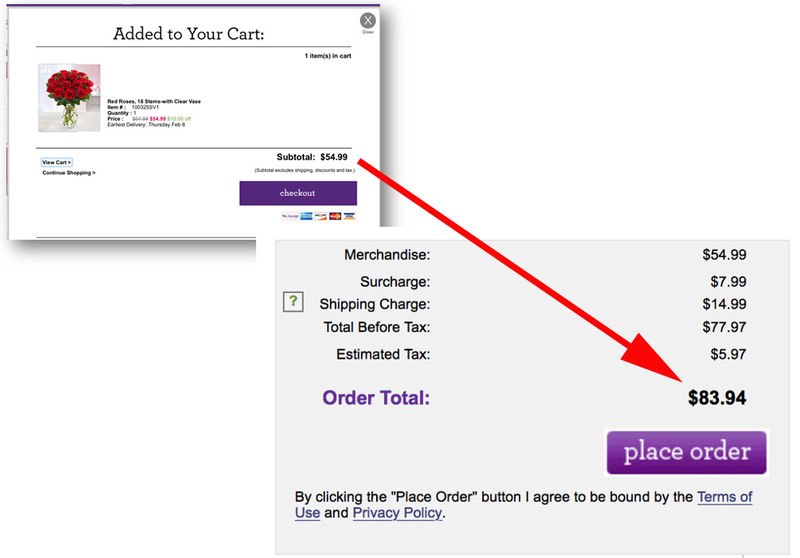 In the task-based study, we had 120 participants who recently visited or purchased from any flower website attempt a predetermined task on one of the four websites (randomly assigned). The data was collected in January 2018. Participants in the studies answered the 8-item SUPR-Q (including the Net Promoter Score) and questions about their prior experience. 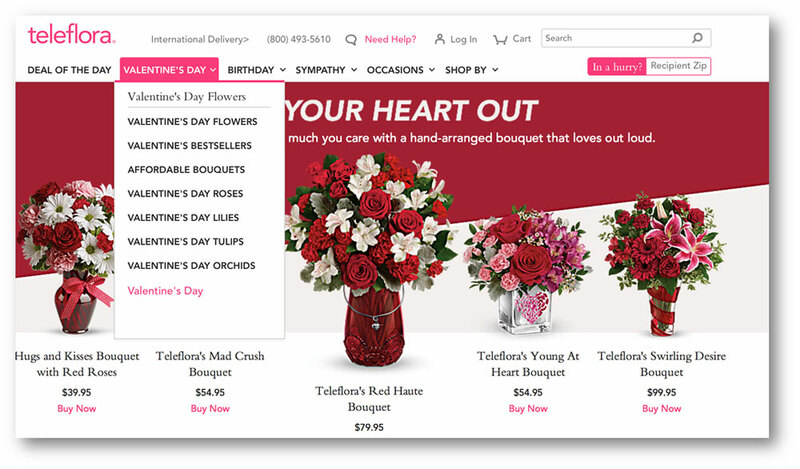 Participants in the task-based study attempted one task on a website: order a dozen roses to be delivered on Valentine’s Day to a specified address. 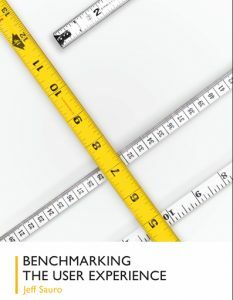 Full details are available in the benchmark report. The scores for these websites ranged from a bit below average to well above average—showing some good variation for this group. The online flower industry average SUPR-Q is at the 62nd percentile (scoring better than 62% of the websites in the database). Teleflora had the lowest SUPR-Q score of the group with a score at the 43rd percentile. 1-800-Flowers led the group with scores at the 75th percentile. The SUPR-Q scores changed somewhat when participants in the task-based study were asked to complete the Valentine’s Day roses task. The biggest difference was on FTD, which saw its SUPR-Q score drop on the task-based study, from 73% to 39%, indicating issues with the first time experience (and for this task). We conducted a similar analysis in 2017 and the results showed similar scores. The average SUPR-Q score for this group dipped a bit from 69% to 62%. Comparisons to all subscales are also available in the report. 1-800-Flowers had the highest usability score (at the 75th percentile) compared to Teleflora, with the lowest at the 43rd percentile. The usability factor on the SUPR-Q predicts a SUS score; in the case of 1-800-Flowers, it’s a SUS equivalent score of 80 and for Teleflora, a 71. 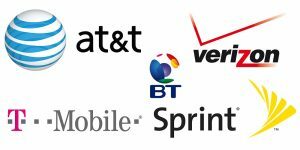 For businesses that likely benefit from referrals, this group of websites generally had pretty mediocre Net Promoter Scores. The average NPS for this group was -2% (slightly more detractors than promoters), which is actually about average for Net Promoter Scores in our SUPR-Q database. Compared to our 2017 data, most Net Promoter Scores were about the same, with the exception of Teleflora that dropped 30 points, from 16% last year to -14% this year. Building further on price perception, we asked participants how transparent they felt the prices were throughout the checkout process. In general, participants felt there were hidden fees throughout the checkout process on all websites and would have liked more transparency. The low Net Promoter Scores suggest consumers are open to switching flower websites. For most consumers, purchasing flowers isn’t something done regularly (around half the participants report only purchasing a few times in the last year). To understand how effective the experience was for prospective buyers, we had 120 participants attempt to order an arrangement for this Valentine’s Day using our MUIQ research platform. This allows us to diagnose problems with the navigation and purchase processes. 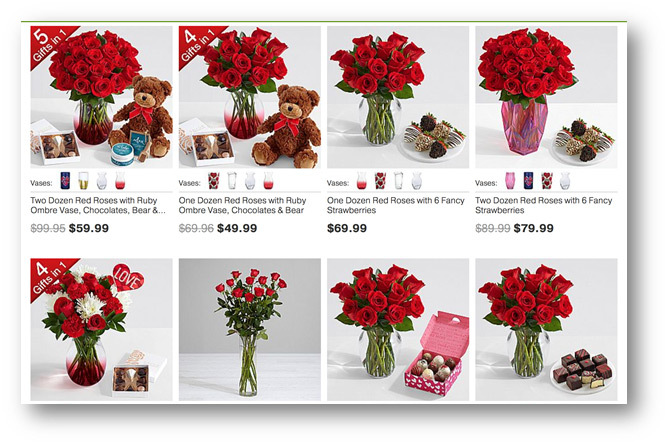 Participants were most successful on FTD, but even then only 37% were able to correctly find the lowest price arrangement of roses with a vase. 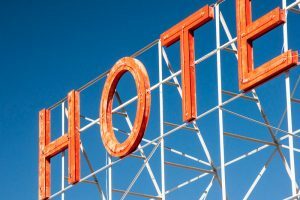 The other sites had completion rates below 25%, even when we relaxed the success rate criteria by not requiring the total shipping cost and fees. The main reason for the low completion rates is an extension of the price transparency problem identified by the participants in the retrospective study. Prices kept creeping up, usually without participants being fully aware. We examined the videos and verbatim comments more to understand the user experience problems. This problem can be seen from observing the session videos. No one likes to pay for shipping these days, but it seems the flower websites have taken pain to a whole new level for V-day! For example, you can see the subtotal for the flowers on the 1-800-Flowers website as $54.99 when it was added to the cart. The second image shows what the participant would actually pay: $83.94. Figure 1: Price change on the 1800-Flowers website, going from $54.99 to $83.94 after fees. The problem is exacerbated on other sites that require you to create an account or enter credit card details before you get the final price. Figure 2: Price change on the FTD website, going from an estimate of $29.99 to $51.98 after fees. There are so many add-ons, sizes, vase types, and more to choose from, all at different prices, that some participants struggled to narrow the choices. Figure 3 shows an example from many combinations of roses from ProFlowers. One participant commented on their struggle to find flowers. 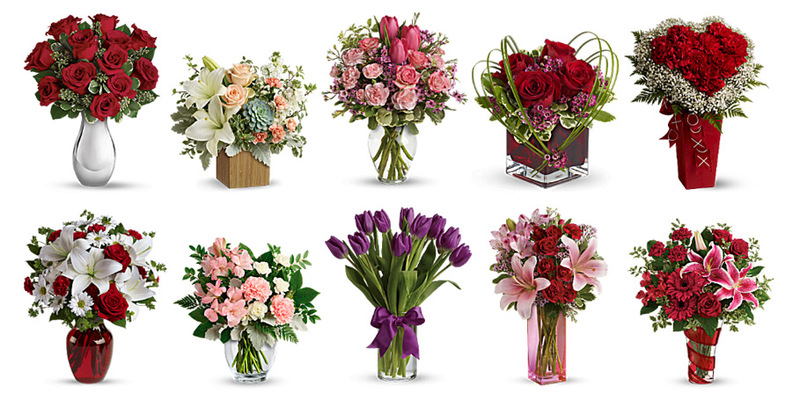 Figure 3: The many combinations of flowers were overwhelming for some participants. A video of this interaction can be seen below. Figure 4: Video interaction showing a participant navigating the many options on ProFlowers.com. 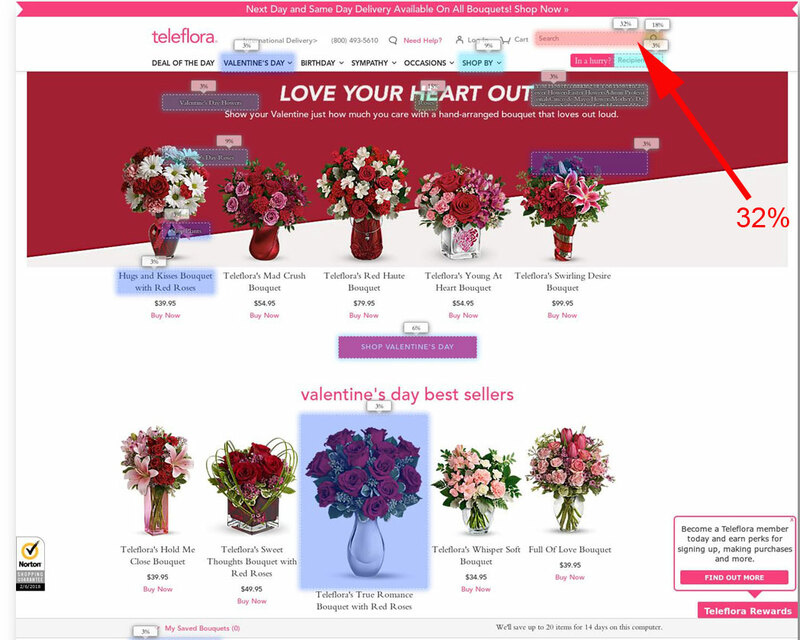 Figure 5: The Teleflora Valentine’s Day menu is an example of where participants struggled. If users don’t want to shop by one of the occasions in the top nav, they open the SHOP BY menu where the options aren’t as helpful for this type of task. The click map below from MUIQ shows that a good portion of participants took a search first approach (with 32% searching), which is similar to the search versus browse spread we see on retail websites. Figure 6: Click map of the Teleflora website experience (32% of participants started with search). 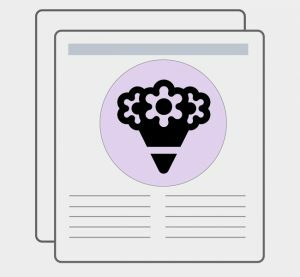 A two-part UX benchmark (retrospective and task-based) analysis of flower websites was conducted in 2018 using 320 participants. The overall user experience of the industry was slightly above average compared to the websites in the SUPR-Q database and similar to the 2017 data. 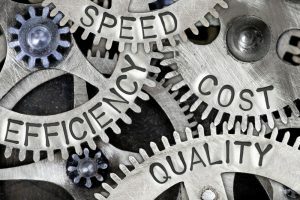 The biggest driver of both poor SUPR-Q scores and low task completion rates are the hidden fees and lack of price transparency. What consumers see as estimated totals in their shopping carts on average increased by 50% or in some cases, even doubled, by the time they checked out.